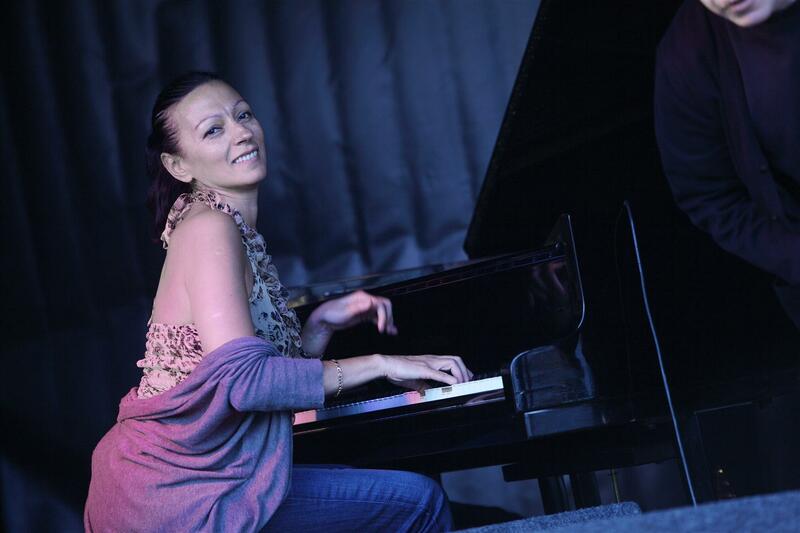 The prolific jazz pianist Amina Figarova is releasing a new album with her sextet titled simply Twelve (In + Out, 2012). As a self-proclaimed citizen of the world, Figarova recently moved from Europe to the quaint neighborhood of Forest Hills, Queens in NYC. Having been dragged kicking and screaming all the way out that far on the E train a couple times, I can easily relate to the elements of relentless subway rhythm that seem to infuse this album with an unmistakable restless urban energy. You can almost see the silent film of a morning in the Big Apple on a track like “Make it Happen”; the dragging yourself out of bed for a first quiet cup of coffee, the jog out the door and the sudden plunge into the wailing of the cab horns as you finally step out of cavernous train system in Manhattan. Supported by her husband Bart Platteau on flute, tenor/soprano saxophonist Marc Mommaas, trumpter Ernie Hammes, bassist Jeroen Vierdag and drummer Christ “Buckshot” Strik, Figarova’s understated playing is deftly executed to feature each player. She is an incredibly competent composer, but also a truly skilled bandleader featuring her star players with aplomb. Figarova recently celebrated the release of her new record at the Jazz Standard in NYC, and you can catch her at tours all over the world this summer.